Lower speeds and one-way travel make roundabouts a safer option. The Insurance Institute for Highway Safety (IIHS) conducted a safety study that revealed replacing traffic lights with roundabouts reduces collisions involving injury by 75%. 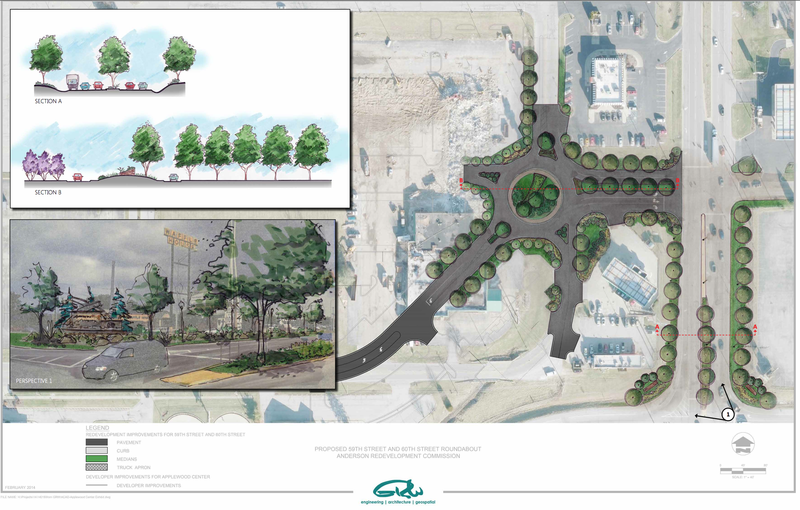 IIHS and Federal Highway Administration research demonstrates roundabouts also achieve 40% reduction in pedestrian collisions and 90% reduction in fatality collisions. In addition to safety benefits, roundabouts also reduce delay, improve traffic flow, and require less space than traditional traffic lights. View the sketch above to see the conceptual plans! ⇐Previous Jackson St. Beautification Project to begin this week!Next⇒ Anderson Youth Football Season- Registration Information!